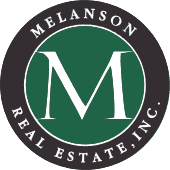 Melanson Real Estate is a full service, family owned and operated real estate company that has been in business for over 3 generations. We offer services to buyers, sellers, tenants and landlords. Feel free to view our inventory of residential properties, land, commercial and rental properties. We are one of those increasingly unique companies that fully understands its business. We are totally focused, uniquely positioned and recognize that we must create value for our clients. The purchase or sale of a home has the potential to be extremely stressful. We understand this and work to refine the process and minimize surprises. We believe that the experience and compasion of our staff enable both the buyer and seller to achieve their objectives. The quality of our efforts is reflected in our continued growth, the stability of our company and our satisfied customer base. Contact us to see how we can assist you with your real estate needs.